Ever wonder why it seems some people waltz through life with an ease that allows for them to receive all they desire? Ever hear someone say they are going to be, do, achieve something and shortly thereafter, it becomes reality? Would you like to know the secrets to making this all occur within YOUR life? 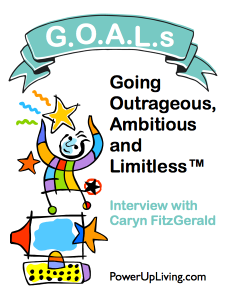 Then join host Kelly Galea and guest Caryn FitzGerald for this episode of Power Up Living where we’re going Outrageous, Ambitious & Limitless! Her program is called, “GOALs: Going Outrageous, Ambitious and Limitless” ™ and in this program she covers the steps to making this all a reality in your life. Become a manifesting king or queen in your own right. Design your life, improve your relationships, balance your health and monetize your passions. 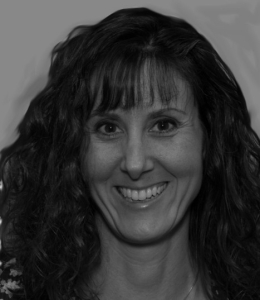 Join Caryn for a Jump Start 2015 coaching session! Visit http://carynfitzgerald.com/jump-start-2015/ to learn more.